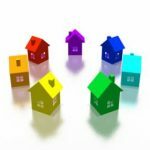 1 June 2013 is the date set for the introduction of the new mandatory Energy Efficiency Certificate for anyone who wants to sell or rent their property. See what it is, what it covers and (most importantly) what the cost will be for you. What Is The Energy Efficiency Certificate? All flats and houses built after November 2007 should already have a certificate stating how efficient they are in terms of energy use. However, for those built before that date it will be necessary to contract the services of a professional company that will carry out the study and produce the certificate. This certificate presents the information graphically via a colour-coded scale from A to G, similar to the labels that you can find on electrical appliances in stores. The certificate will be valid for a period of 10 years, however a homeowner can voluntarily decide to request a new certificate before the 10-year period expires. 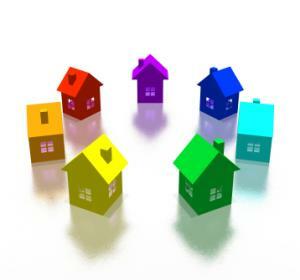 If you want to sell or rent your home then you’ll be requested to provide the certificate. Your home won’t be required to meet a certain standard, but a property that is either very efficient or deficient energetically could have an affect on the price. If you already have your home up for sale (or rent) you should request the certificate as soon as possible and not wait until you sell or sign a rental agreement. Whether sellers will be required to show they already have the certificate in their ads (online or in newspapers) is unclear at the moment, but it wouldn’t surprise us that in order to get more income local authorities will seize on this to fine those who don’t comply with the requirement. How Will My Home Be Surveyed? Make sure you find a reputable company, as this certificate is totally new then we expect a lot of “cowboy” companies to be offering their services. First of all a company should request the details of the home (catastral) and check the plans to see the orientation (areas of light and shade). Once at your home they’ll check what influence adjoining homes exert on yours eg if your flat is on the bottom or top floor this affects heat retention. In general a company will be looking at the cost to heat and cool the home, how much it costs to generate hot water and whether the electrical installation is efficient. It’s hard to know exactly what charge will be levied by companies as there will not be a rate fixed by the authorities. Estimates have been placed at around 250€ for a 100 square metre home. Also added to this will be the regional taxes levied on the mandatory presentation of the certificate at the regional body (estimated at around 30€, but the exact amount will depend on each region). If a private company offers to present the certificate on your behalf, check what the cost would be as it may be cheaper to do it yourself. Even though theoretically all new homes built after 2007 should already have this certificate, some Spanish regions have been negligent in enforcing the legislation and it may be that your home doesn’t have one even if it’s a new build – you’ll have to check. Many people have also criticised that the certificate does not take into account current materials used in your home – for example if you’ve installed ceramic flooring that in winter captures heat via the sun’s rays and releases it in the evening this wouldn’t be taken into account. There will be unscrupulous companies that will offer an energy certificate for a lower price without visiting your home. Apart from the fact that this is not legal, you will probably be give a certificate with a rating far below that which corresponds to your home, thereby negatively affecting the value of your home. Where Can You Find Out More (in English)? Have a word with Survey Spain (a network of RICS Chartered Surveyors) by email admin@surveyspain.com or visit their website www.surveyspain.com.